You can shop at #CIPSAC too! Special performance tonight by Capital Dance Project with Cities YWYWF. The party doesn’t stop at Concerts in the Park. Show your Bud Light wristband at one of our participating After Party Locations and receive happy hour pricing. 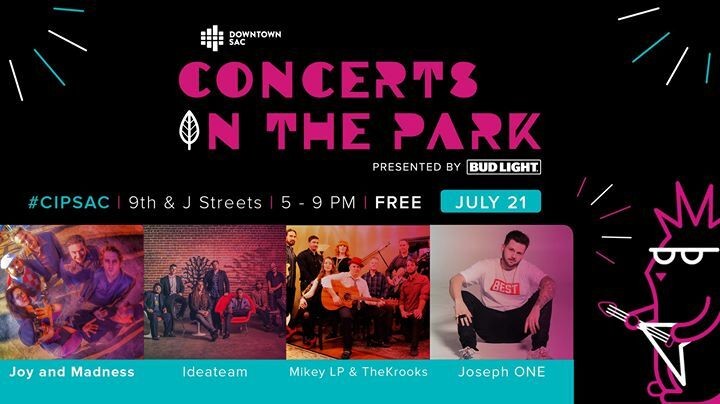 Concerts in the Park is produced by Downtown Sacramento Partnership and wouldn’t be possible without the support of our sponsors: Bud Light, Bogle Vineyard and Winery, Live Nation, Kaiser Permenante, MarketOne Builders, Submerge Magazine and Hyatt Regency.